The new Pole has arrived and it redefines how a frame is manufactured. The frame is robotically CNC machined. The new frame is called MACHINE and is 100% made in Finland. The machining time is confidential but we can confidently say that we will be achieving full production rates from early 2018 onwards from our secret factory in Finland. We will bond the frame pieces together in Jyväskylä and quality control the process under our very own roof. The Machine is a cutting edge 29″ superbike which can be used as the one bike for everything. The bike has is designed for a 180mm fork and has 160mm of rear travel. The frame geometry follows Pole’s notoriously long and slack geometry with steep seat tube for better climbing. On our tests, the Machine was even easier to ride than the EVOLINK. We will machine the whole frame and mass produce it ourselves. The MACHINE is a 100% Pole design just like our other frames. The head of design, Leo Kokkonen (who is also the inventor behind Huck Norris) is responsible for the engineering and design, from the kinematics to the last shave of the machining. 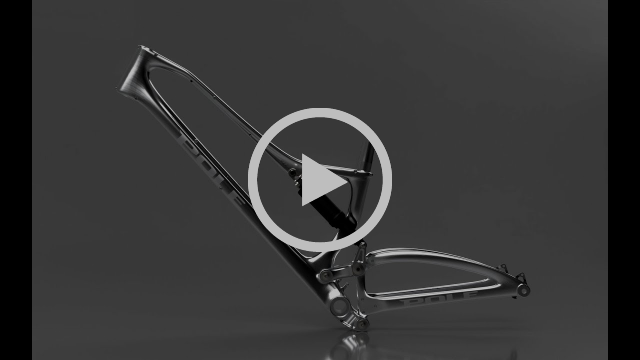 The frame and links are machined from 7075 T6 billets with titanium axles. The front and the rear triangles are made of three parts that are bonded together with glue, similar to methods that are being used in car and aeroplane industries. So what’s better with the Machine? Everything! The bike is lighter, stronger and faster. Honestly! We know it looks like the same BS that everyone else is claiming but we can actually back it up. The Pole EVOLINK is probably the fastest bike on the planet at the moment. Enduro mountain bike magazine made a speed test among the best bikes in the world. We sent our stock bike (€4800) to compete with €10 000, factory tuned, world championship bikes and we were second fastest and missed out on the top spot by only hundredths of a second. 7075 T6 aluminium is 1,7 times stronger than conventional bike alloy 6061 T6. This makes it possible to manufacture the frame to be much lighter than normal aluminium bikes. Machining from high-quality billets, that are also used in the aerospace industry, means a superior material and finish. The heat treatment is also more consistent than the post weld, heat treatment of frames in an oven. With the machining processes, we can control the wall thickness where ever we want, instead of having a “ballpark” thickness as occurs with hydroforming. If we compare the process to carbon, it’s faster, cleaner and we think it’s a more sustainable and humane way of making bikes. We can also be sure how much stiffness we have in each place instead of relying on rough calculations and assumptions as happens with carbon. Our bikes are safe to use and you can actually see any possible frame damage with the naked eye. When it comes to carbon frames, you need an ultrasonic scan of the frame if you want to be sure it’s still safe to ride. 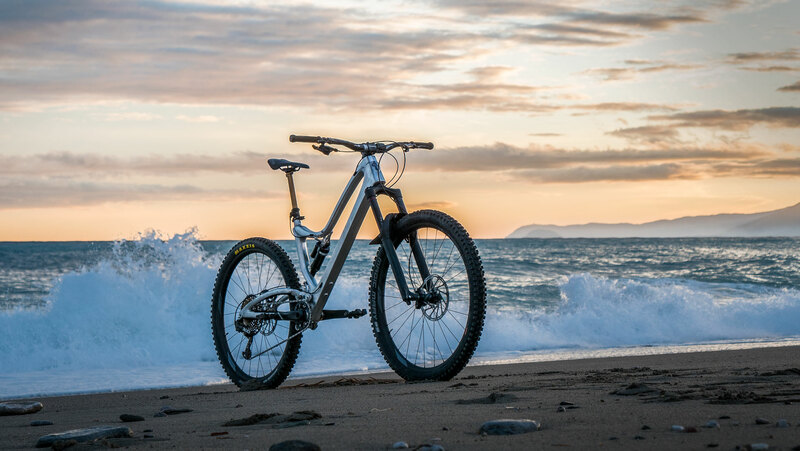 From a solid block of tool aluminium, machined into a superbike that is the ultimate expression of mountain biking. The excitement, the speed, the most striking experience as a rider. Most bike frames need paint because the production finishing is not very appealing. The machined frame is left as it is to reveal the exclusive process. The best feature of this is that the frame is not prone to scratches and wear. The 7075 surface is hard and the machined surface camouflages the possibility scratches and wear. The oxidation process of the frame over time will produce a classy patine. Rather than having a worn out bike you will have a machine with charisma. We may introduce colours in the future but the raw finish is what we really like at the moment. Asymmetric shock – The Machine features an asymmetric shock to create more seat tube insert length, as the dropper posts are getting longer. External cable routing – The frame has only external cable routing to keep things more simple. The top and down tubes are shaped so that the cables are hidden in plain sight. You can still use Stealth dropper posts which will feed through a very accessible port on the seat tube. Three bottle mounts – It’s possible to fit three bottles on the frame. Two inside and one the outside of the front triangle. It’s possible to store more stuff on the bike rather than using a backpack. Low standover – We rotated the shock 90 degrees and have created even more standover space than on our EVOLINK which is already one of the lowest on the market. Super clearance – It’s possible to run a 3″ tire on the back. Mud clogs with the standard 2.35″ tires will be a thing of the past. 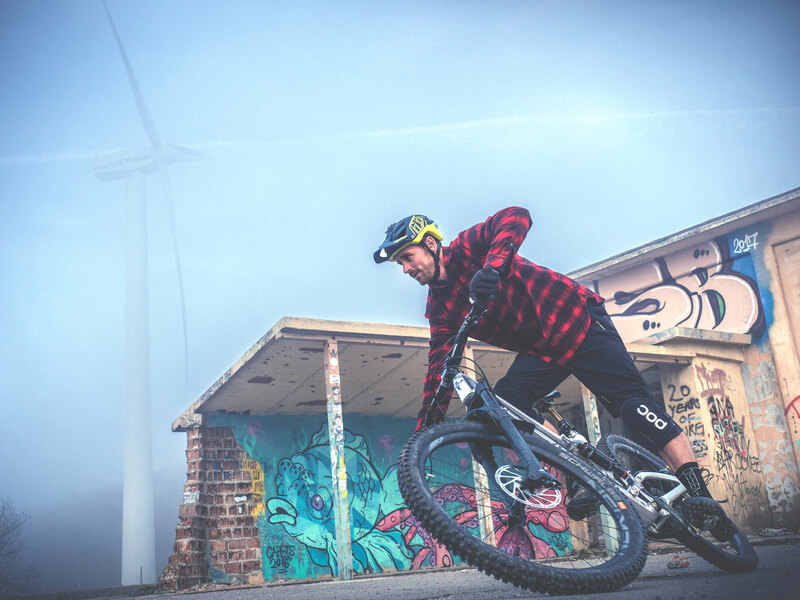 The Machine has been the dream of Leo, he has designed a cutting edge bike imagined and inspired by nature, his surroundings and fundamentally his goal to create the fastest, most striking bike ever. We have lots more exciting projects coming up. Next, we are going to produce a 200mm travel DH bike that will be raced at the UCI DH World Cup piloted by Isak Leivsson from Norway. After that we’ll make a light trail / XC bike with 140mm travel and finally, we will go electric with an electrically assisted superbike. 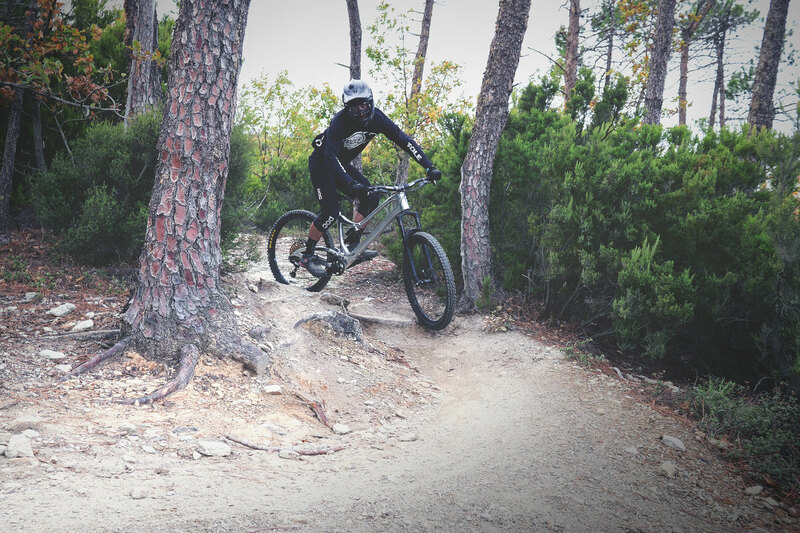 Also, we will release an updated version of our Taival hardtail and a dirt jump bike Tomu.